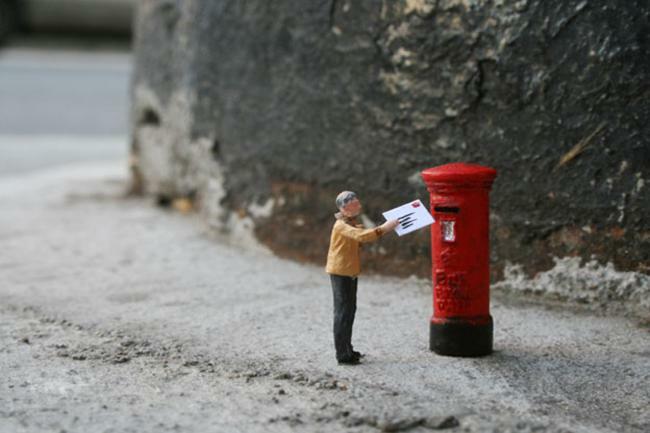 The street artist known only as Slinkachu has been abandoning little people on the streets of London since 2006. 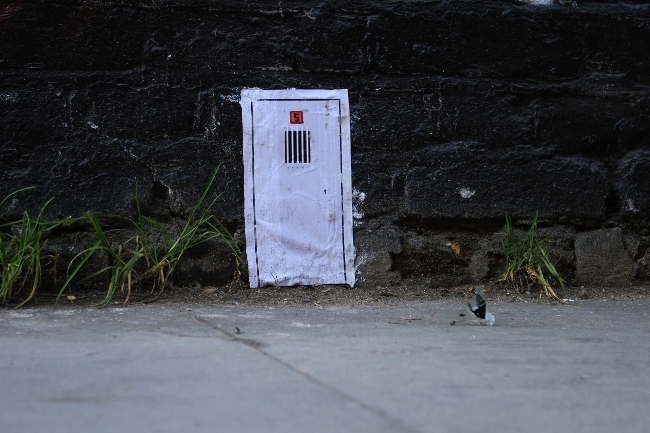 His first project, ‘Little People in the City’, saw minature men, women and children living their lives on the streets of London and was immortalised in the 2008 book entitled Little People in the City”. Since then, Slinkachu has done a number of other projects, notably ‘Whatever Happened to the Men of Tomorrow’ which documented the decline of a tiny, middleaged and balding super-hero on the streets of London and ‘Inner City Snail – a slow moving street art project’ which saw Slinkachu ‘customising’ a number of London snails which then presumably went about their business none the wiser. So, next time you are out and about in London, look down, for you might be missing out on the drama undolding below. INVASION LONDON!!! In 1998 an invasion began on the streets of Paris as waves of Invaders began appearing on the street. Invaders were soon to spread to the streets of over 40 other cities throughout the world. 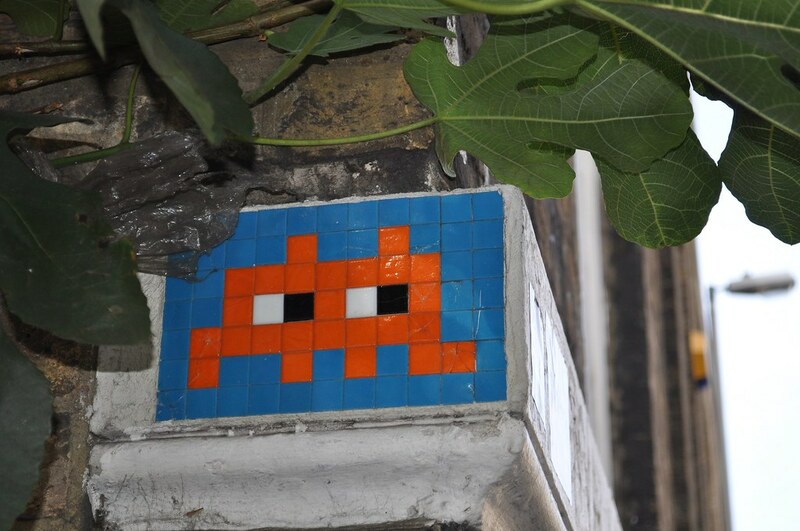 The street artist responsible for this street art is known only as Invader, born in 1969 and working in anonymity, nearly nothing else is known about him. Most of these Invaders are literally that – homages to the classic Space Invaders arcade game of the 1980s. Each piece is made up of tiles which represent the blocky pixel graphics of the original arcade game. No two Invaders are the same and many are infused with other cultural references, such as a swipe at today’s CCTV society. Invader has also played with other iconic video games characters such as Super Mario. Invaders come in different sizes but are usually very small, often found lurking in low down corners or high up on walls above street signs. They are not all small however and much larger Invaders have been reported across London. 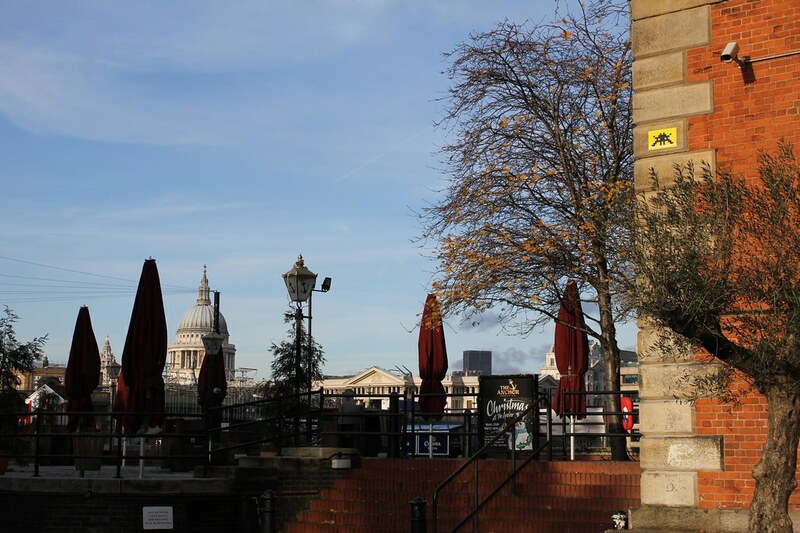 Check out Street Art London’s photos of Invaders from around London after the jump! C215, real name Christian Guémy, is an international street artist superstar who has painted all over the world including India, Israel, Poland, the USA, Senegal and Morocco, and of course, London. 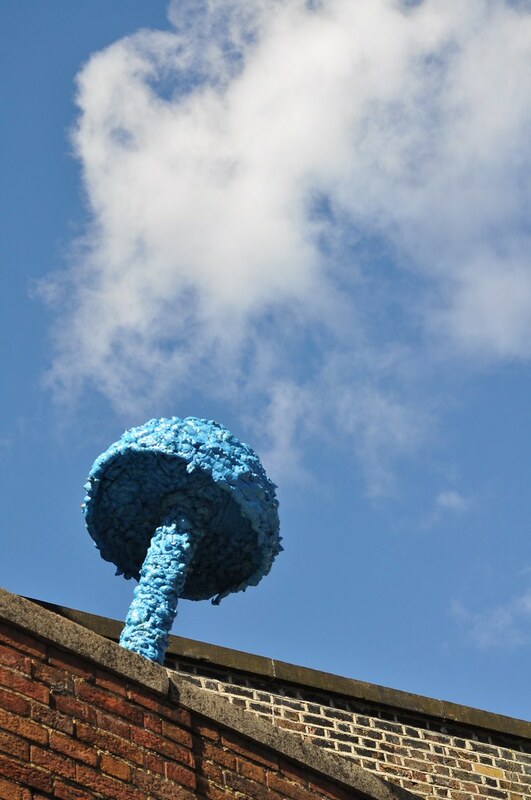 Originally from Paris, C215 has two masters in History and in Art and previously worked in import/export! When his daughter Nina was born he became a full time artist. 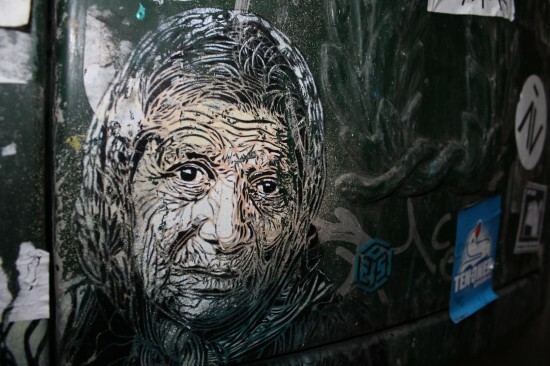 C215 creates bright, intricate stencil works that are both expressive and evocative. His work nearly always consists of close up portraits and his subjects are usually beggars, street kids, homeless people and refugees. C215 describes the motivation behind the choice of his subjects as being those people who are rejected by society and capitalism, the ‘forgotten’. The message behind his work is not directly political, instead C215 seeks to humanise his subjects and raise awareness about people’s plight by awakening passers by to the identities behind each individual. There is also a message behind the placement of his works, behind bars, on bins and on rusty old doors, so called ‘non-places’ where his portraits may be forgotten about. C215 also portrays children in his work, in oparticular his daugther Nina, and religious figures, as a Catholic. 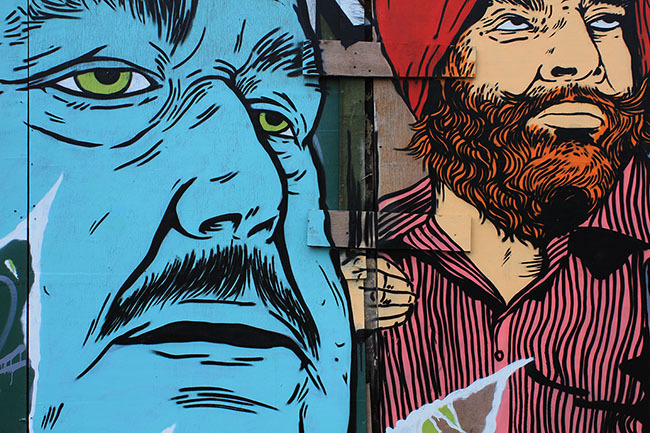 C215 has two distinct stenciling styles. One is multilayered and extremely colourful. The other single layered with perhaps one or two colours. 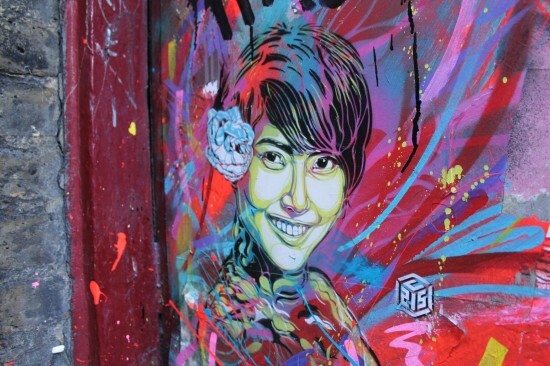 C215 is a prolific street artist and there are fine examples of hos work to be seen in London, particulalry along Blackhall Street in Shoreditch. Street Art London has a dedicated ‘Artists’ site. 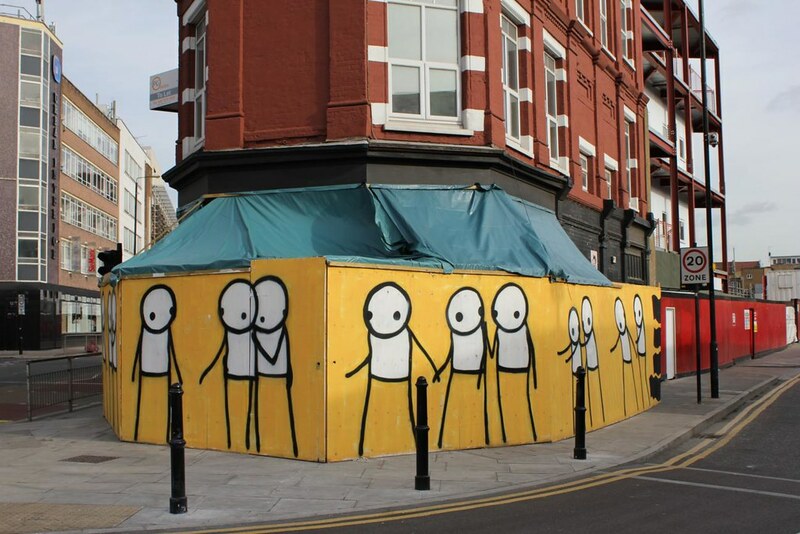 Here we will be showcasing all of the latest street art from street artists currently active in Londontting walls in London right now. 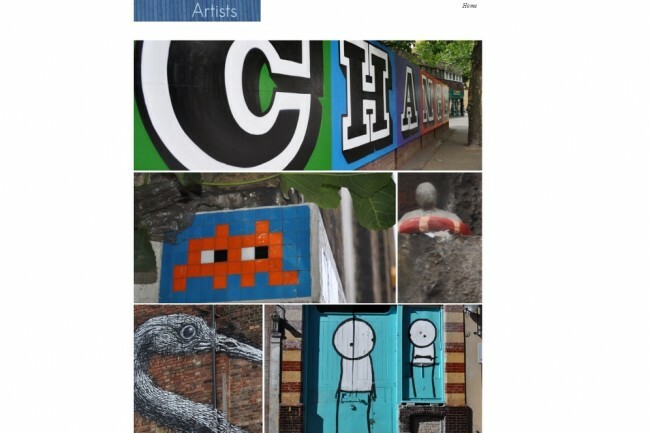 Over on the Artists site we already have pages dedicated to Stik, Invader, Eine, Isaac Cordal and Otto Schade among others. Eine is best known for the vibrant typographical letters that have popped up all over East London over the past half of the decade. 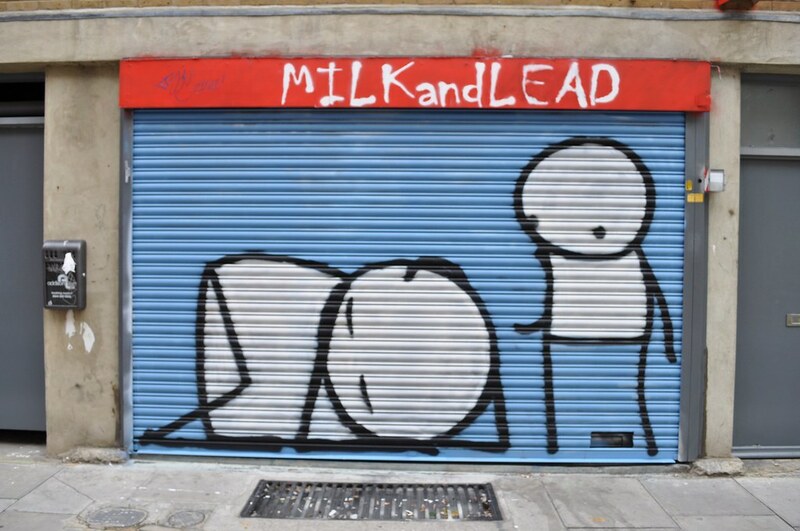 These letters can appear on their own on shop shutters or can spell whole words across East London walls like “Scary”, “Exciting”, “Vandalism”, “Change” and “Calculate”. Eine’s street art is driven by a love of typography and he describes being influenced by how “letters change shape when combined with other ones”. Eine hit the headlines in April 2010 when David Cameron presented a piece of his work to Barack Obama, the US president, as a gift from the UK. The piece was not a whole shop shutter unfortunately, but a canvas work entitled “Twenty-first Century City”. Perhaps Eine’s most famous work adorns the shutters of the shops in Middlesex Street, Shoreditch, now universally known as the ‘Alphabet Street’. For this project, Eine pursuaded local shop owners to let him create a whole alphabet along their street. “The feedback has been 100% positive. Spraypainting a shop shutter turns an ugly, boring thing into something interesting and colourful. I think you’d have to be a pretty negative person to find fault in it” – Ben Eine. From underground graffiti artist to shining star in the firmament of the London street art scene, Eine is eager to point out that street art is distinct from graffiti. 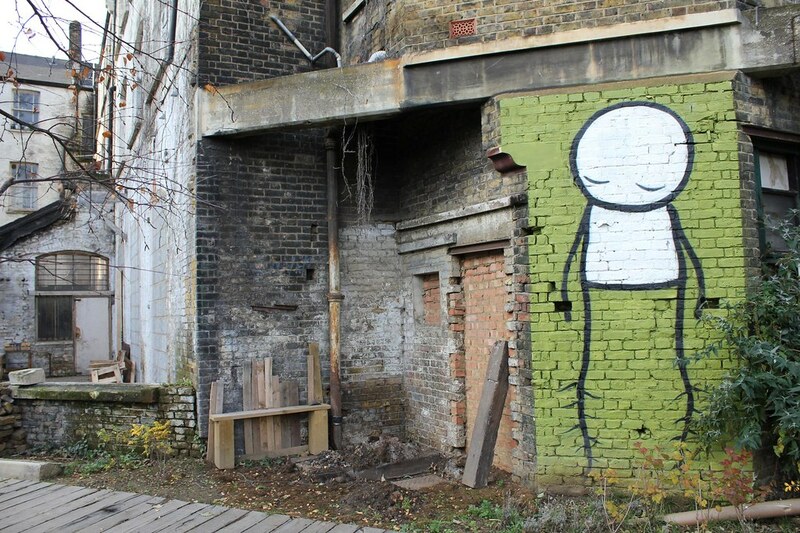 Street art is different because “street artists want to add something to the environment. They consider the audience, whereas graffiti writers don’t care about anyone except themselves, they do it purely for the kick”. This is a video of Eine at work on the well known wall in Holywell Lane as part of the Moniker International Art Fair 2010. 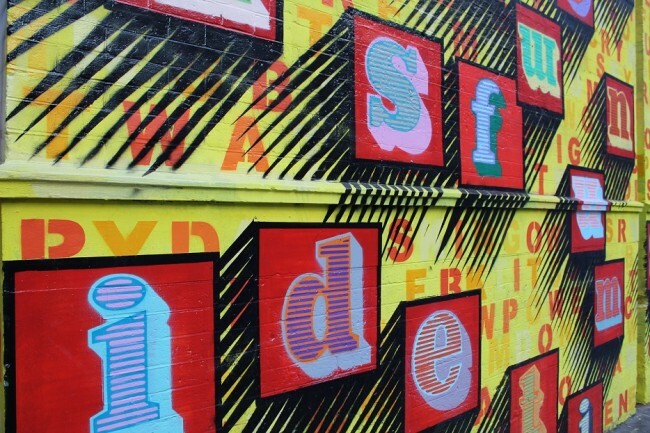 The work took three days to paint and is significant because Eine had painted the very same wall illegally several years prior with the word “Vandalism”. 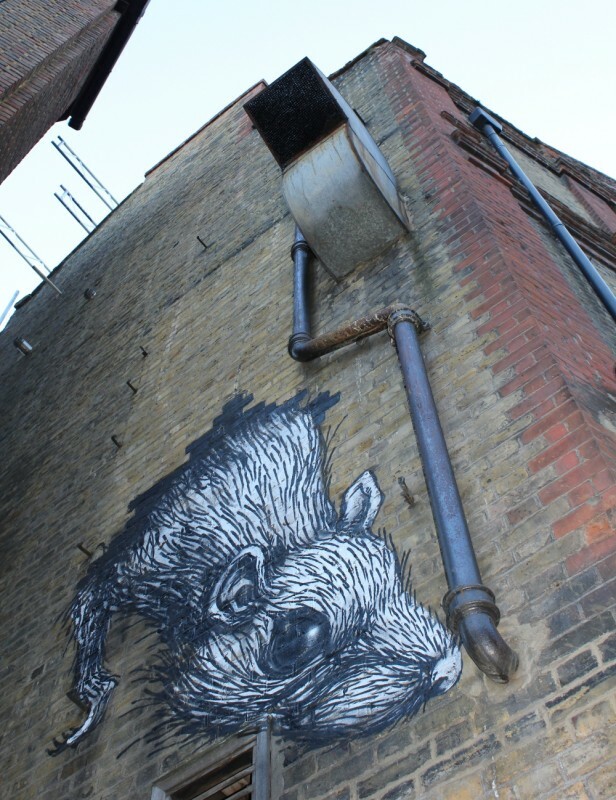 Street Art London, have, as part of our ‘Street Artists‘ site taken a close look at Roa’s recent work in London.